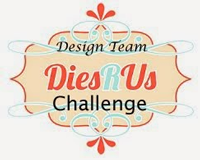 It's the 15th of the month, which means my post for Dies R Us goes up today! It is all about The Great.. Outdoors....whatever being outdoors means to you! Like the variety of papers used for a wonderful artsy look to your Owl card. My daughter likes Owls which I think comes from her fondness for Harry Potter when she was younger. love this~thanks for joining us at Quick Quotes! This is so creative and full of color! I definitely love it! This is so fun & eye-catching! Love all the patterns! Thanks for joining us at CAS-UAL Chic!! 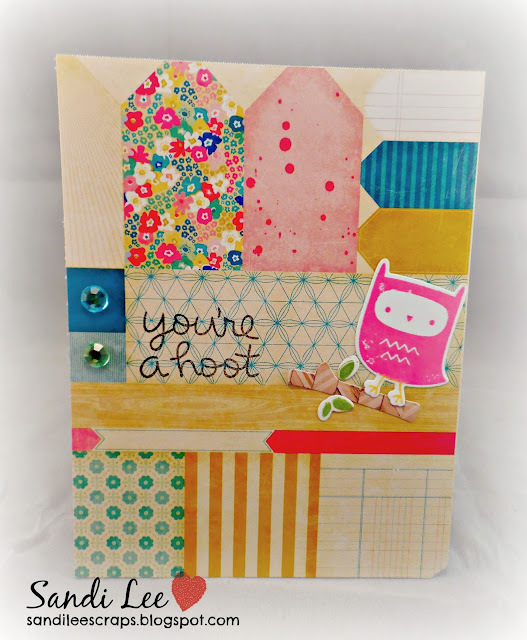 Sandi - this is a cute owl card and you are a hoot too!